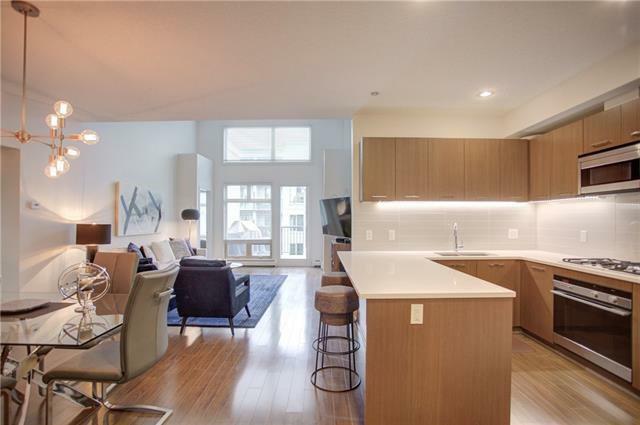 Welcome to this luxurious PENTHOUSE condo in the heart of Mission, one of Calgarys most vibrant and walkable neighborhoods! 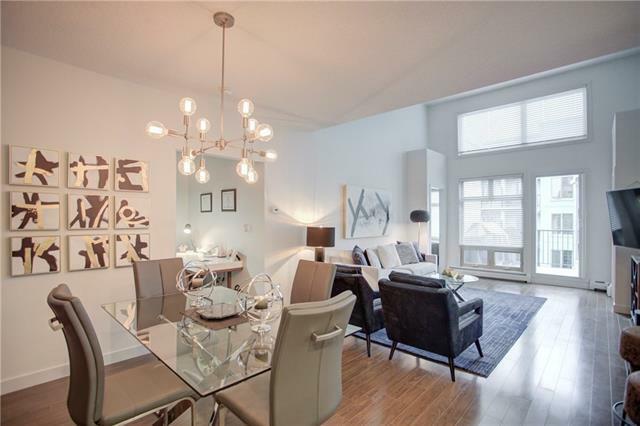 This beautiful, TOP FLOOR unit boasts 2 bedrooms + 2 bathrooms + DEN. Floor to ceiling windows, 14ft lofted ceilings & South exposure fill the home with natural light. The streamline kitchen features White Oak veneer cabinetry with walnut finish, stylish quartz countertops, breakfast bar and Fisher & Paykel/Bosch appliances. The two bedrooms are separated by the living space for added privacy. The master bedroom offers a walk-thru closet to the ensuite bathroom. 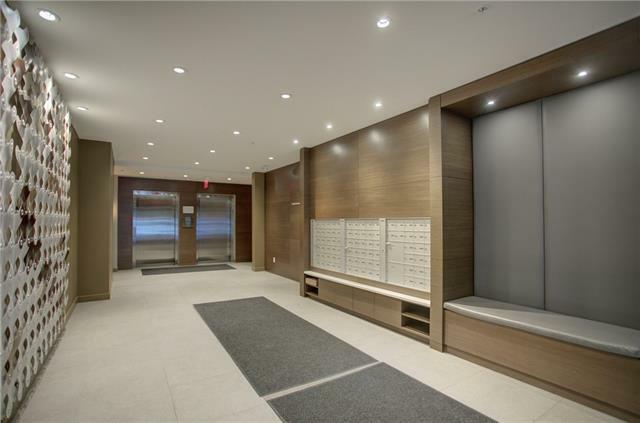 The unit comes with one titled parking stall and assigned storage locker located in the heated underground parking garage. 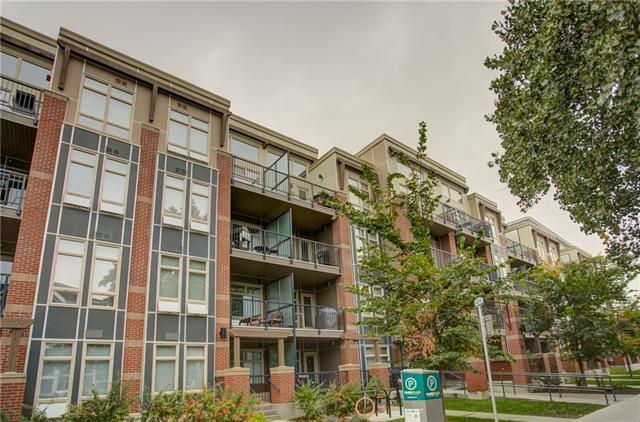 Enjoy low condo fees in a Built Green Canada Platinum Certified building. Pets welcome!